Tiles can be secured within the structure using a clean structural backfill, however soil stabilization techniques have also been integrated into our designs, using a modified backfill with a small percentage of Porous Concrete and Cementous Grout. We will gather specific information before recommending any variations. Factors such as freeze and thaw cycles, which can effect modified backfill, due to expansion and contraction of such backfill behind the bunker wall during such cycles, should be considered. This may, for example, lead to shearing of the modified backfill and ‘De-Bonding’ from the tiles it is designed to support, resulting in greater loads being exerted on less mass and potential of failure. Site investigation is also available via Durabunnker Ltd with the objective to provide specific information on subsurface soil, rock, water conditions, etc. This information will then allow recommendations to be drawn up regarding design and construction options, using our engineered solutions and calculations. For the vast majority of projects, standard recommendations will be appropriate, we are however equipped to to work with all clients to ensure the most appropriate and cost effective adaptation is made available for your specific requirements. 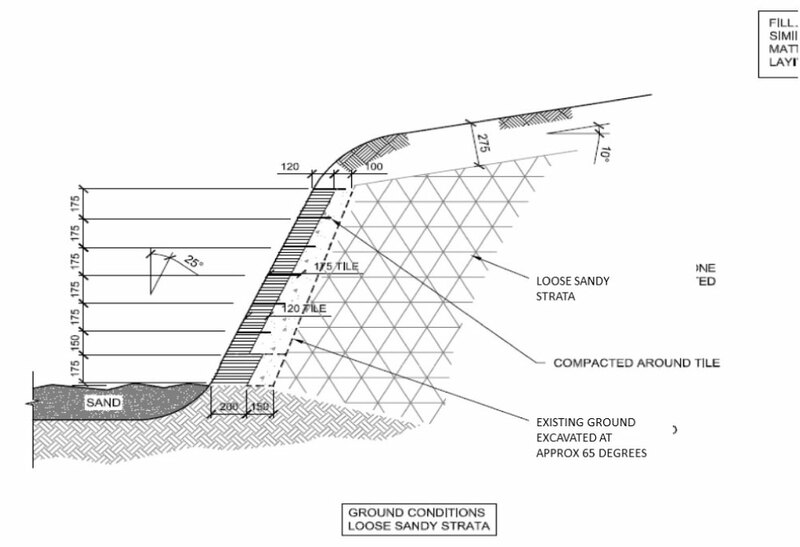 All specifications are based on calculations carried out by specialist Structural Engineers and In accordance with BS8002:2015 – Code of Practice for Earth Retaining Structures and the UK National Annex. Detailed Engineering specifications and calculations are available on request.